Are you looking for a summer day trip but want something out of the usual summer sun and sea? Doğanbey is a perfect option and cultural experience as well. Doğanbey… I had never heard of it before the international women’s group I belong to decided to take a day trip there. It’s totally not surprising that I have never been before though. Being a foreigner and newcomer to Izmir, I have a LOT learn about the beautiful southwest coastline of Turkey. An adventurous group of local and expat ladies loaded up in a hired mini bus at 9 am and made the 2+ hour drive from Izmir to the little town of Doğanbey. I will cover the history, what to see, the stone houses, and other various info below! Doğanbey Village dates back to the late 9th century. The first name of the Doğanbey village was Domatia (orDomatça), which means ‘rooms’ in Greek and comes from the name of the square shaped courtyard. Domatça eventually became Doğanbey and then Old Doğanbey and is settled in the district of Söke near Aydin. The last Ottoman Sultan, Abdülhamit Han, re-established this area as a commercial center on top of the ruins of the Aegean islands. There was a lot of trade between the areas of Greek, Cyprus, Crete, and Samos . During WWI, there was a lot of fighting between the Greeks, that sided with the Brits, and the Turkish militia. It is said there are still empty cartridges from those days that can be found in the area. When the Turkish army entered Izmir in 1922, the Greek Cypriots abandoned it. There are only a few families left. In 1924 during the great Turk/Greek exchange, Turkish citizens from the larger Ottoman Empire, which reached into Bosnia and Thessaloniki, were brought in to settle here. From many other ruins I have seen, it seems the Greeks enjoyed settling inland into the hills while the Turks prefered to be on the flat lands or closer to the seaside. With Doğanbey it is no different, the people literally settled in the middle of a mountain surrounded by serenity and nature. The Turks abandoned the mountainous, stony, barren, and windy area of Doğanbey and established Yeni Doğanbey near flat area by the farming fields. Eventually, the villagers began to sell ruinous houses that were too much trouble to repair. The lecturers, artists, and architects from Istanbul bought many of the ruins of Greek houses and have lovingly restored the village. There has been a great effort to retain the education and historical significance of this place with the public schools, the German dignitaries, the writers, the artists, and the collectors. The town is for the artist and architects who bought the ruins of the Greek houses at reasonable prices and carefully and lovingly restored them. Together they are like one big family as they organize, plant flowers, and beautify the area. They want to set an example to others who also want to restore other older historical areas. In the middle of this quaintness is a costume museum which features carefully preserved Ottoman and Turkish dresses. As part of our pre-arranged day tour, the costume museum directors Nevzat Bey and Emel Hanim greeted us kindly and sincerely. Their home has the second largest collection of Ottoman clothes in Turkey. Having once moved from country to country for work, his wife would organize Turkish Fashion shows for locals. She personally shared how she started and organized the shows. Since our group was much larger than the museum could accommodate, we took turns listening to the history of the city given by the Nevzat Bey, and the history of the costume show given by his wife, Emel Hanım. While some of us were touring the museum, others explored the village. In the heart of the area, there are 2 small cobblestone paved streets which are too small to be called a village anyway. If you need a break from touring around, there are a couple of cafes. While I didn’t personally have time to try them, the Mola Cafe and has been recommended to me. There is a guesthouse (Mola Pension) and two boutique hotels (Domaça House and Casa Luna) as well. All Greek houses are under SIT board protection and can only be restored to the board’s standards. The goal is to preserve the historic nature and style. Each of the gardens is very well-kept and tasteful with cactuses, colorful flowers, fruit trees and pines, and historical artifacts. In the middle of the cobbled streets there are channels for rainwater to escape downhill. Since our group of ladies were headed to the seaside for lunch, we toured the town by foot for the time we had, and then headed on to Karine Restaurant. The restaurant had organized a fix menu of mezes (appetizers), fish, dessert, and tea. After lunch we headed back to Izmir, but not without a quick stop by the ancient city of Priene. By car, follow İzmir-Aydın motorway (E87) to the exit of Söke. From Söke, go towards Didim-Milas-Bodrum. You will continue towards Güllübahçe and onward to Didim. Follow the signs indicating Tuzburgazı-Doğanbey and eventually Tuzburgazı, you will see the sign for Doğanbey. After 5 more km, you will reach Doğanbey Köyü. For those who are tired of city and beach and for those who want to experience the nature and calmness, this is your place! It forces you to stop and be still – take a walk or a restful hike, breath in the fresh air, read a book, sleep in, rest and recharge. The village practically draws you to take a break from the rest of the world with its offers of simplicity and charm. Have you been to Doğanbey? What did you think? Do you have any suggestions for this visit? What other interesting facts do you know about this area? Ephesus, or Efes, is well known all over the world for its architectural marvel. It can easily be explored in a day. If you plan to stay in the western area of Turkey or if you live nearby, consider exploring other ancient nearby cities: Miletus, Didyma, and Priene. Priene is the northernmost of the three ancient sites. After our visit to Doganbey and lunching by the sea with the IWAI ladies, we made a quick stop to Priene Ancient City on our return to Izmir. Priene Ancient City is less visited but arguably one of the more beautiful archeological sites, especially on a sunny, cool day. The ancient city of Priene is famous for its panoramic view and the steep rock of Mount Mykale behind it. Plus, most of the ruins are shaded by tall mature trees. Just like Ephesus, Priene use to be a port city for the Aegean Sea. Overtime time the waters recessed and left a fertile plain land. This popular city on the hill that once overlooked the sea eventually died out. The ruins included a well-preserved amphitheater and council chambers, gymnasium, and even an Byzantine church. The layout of the city shows it to be one of the first grid-plan cities. More impressive are portions of the still standing great city walls measure 7 feet (2 meters) thick. The gymnasium and stadium were on the lower slopes of the hill, below the table land. The acropolis was farther up the slopes of Mount Mykale. Priene was around long ago as a Hellenistic city in 8 BC and part of the Ionia League because it held the League’s central shrine, the Panionion. Later it became a holy city for Greeks because of the temple of Athena, and it was thriving with activities by 550 BC. So much so that in 545 BC it was captured by Cyrus of Persia. The city was under control of the persians until Alexander the Great and later became a Roman city. Then during the Byzantine times, Priene had a large Christian community during and was the seat of a bishop. The decline of the sea and silting of the Meander River, plus the later captured by the Turks in the late 1200s eventually led to the abandonment of the city on the hill and settled in the present day city of Güllübahçe. Interestingly enough, Priene never had a large population and maxed out around 5,000 people. From the town of Güllübahçe (54 km/33 miles south of Selçuk city near Ephesus), drive up a ramp to the parking area near Priene Ruins. While it is easiest to drive to, there are always buses to the nearby city of Güllübahçe then a taxi from there. After purchasing your ticket, walk uphill for about 10 minutes either via the steps or along a stone-paved street by the city walls to reach the main city. Entrance tickets are 5 TL per person (or use your muze cart if you have one). Set aside at least 2 hours here because it is a very large area. Don’t be deceived by first appearances, make sure to explore beyond the theater and church area! We definitely did not spend more than 30 minutes there and missed a lot of the cities ruins. Toilets and simple snacks are usually available by the parking lot. Down the hill from the parking lot are several shady tea houses, simple restaurants and a few small pensions. Had you heard about the ancient city of Priene before? Have you been to Priene? If so, what did you think? *** Read about the first part of the day trip to Doğanbey and the Ottoman Costume Museum! Kina Gecesi and Gelin Alma are unique traditions for Turkish weddings. I not-so secretly wish we had the Gelin Alma ‘Fetching of the Bride’ tradition in the states! But alas, I am married and don’t really want to repeat any of that! Moving on to part 3 of our Turkish wedding series, we finally arrive at the actual marriage signing ceremony, also know as Nikah in Turkish, and the after party! After the morning dancing and bride pick up, the bride and groom prepare for the wedding near/at the groom’s home, each in their own way as needed (meaning that the bride takes significantly more time to have her makeup and hair done). Then together the couple departs to take wedding pictures. Since I was asked to be a witness in the wedding, I readied myself as well and was, needless to say, very on time for a not so on time cultural wedding. Turkish time tends to have more fluidity to it. I traveled with the photographer, his wife, and the other witnesses to watch them take pictures before heading to the wedding location. The Nikah or marriage agreement in Turkish weddings have 2 to 4 witnesses. Our friends had two witnesses each: two for the bride and two for the groom. I had never seen or attended a Turkish wedding before so I was slightly nervous. They told me what to do and even though it sounded easy, I was worried I would miss my part because it was all in Turkish! In the states, the ceremony can be done in a billion different ways, but in Turkey it’s pretty straightforward and the Nikah takes all of 5 minutes. The bride says ‘Evet (Yes)!’ The groom says ‘Evet (Yes)!’ And then all the witnesses are asked if they agree to the marriage and we say ‘Evet (Yes)!’ Then everyone takes turns to sign their signature in their pre-designated spot in a large government book to record the wedding ceremony. Next, the government official will hand the marriage booklet over to the newly married couple. If you ever see pictures of a Turkish wedding, you will see the couple proudly holding up the red marriage booklet! The couple celebrated with their first dance together followed by more dancing with friends and family, needless to say, there is a lot of dancing through it all. My favorite dances are the circle dances where everyone joins hands and does a type of line dance! The usual cutting of cake came later and everyone enjoyed a slice of ice cream cake. While all that seems normal to us, the next and generally last part of the wedding starts. After the cake, everyone lines up to congratulate the couple on their marriage and pin their gift to a ribbon draped around their necks. Instead of gifts from a registry like we have in the states, Turks give money or gold coins (which are worth different amounts). Most guests tend to leave after this but a smaller group of family and friends will stay to dance well into the night. 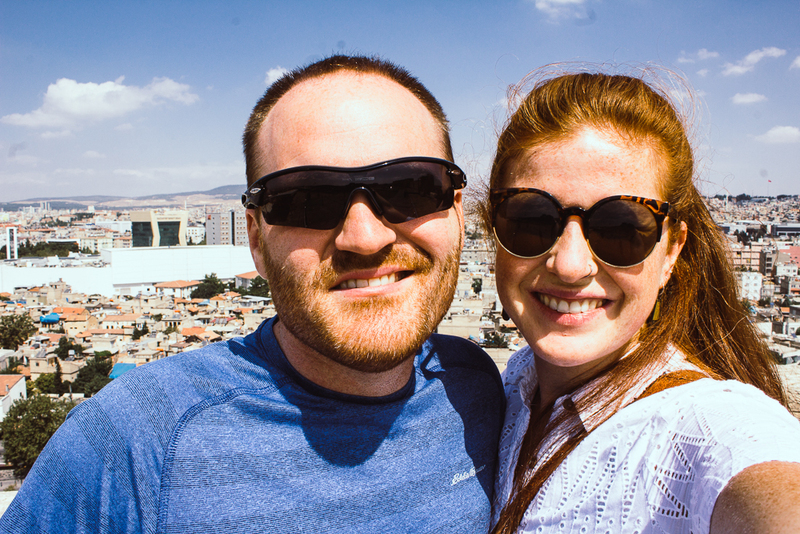 And don’t forget to check out Part 1 and Part 2 of the Turkish Wedding Series! 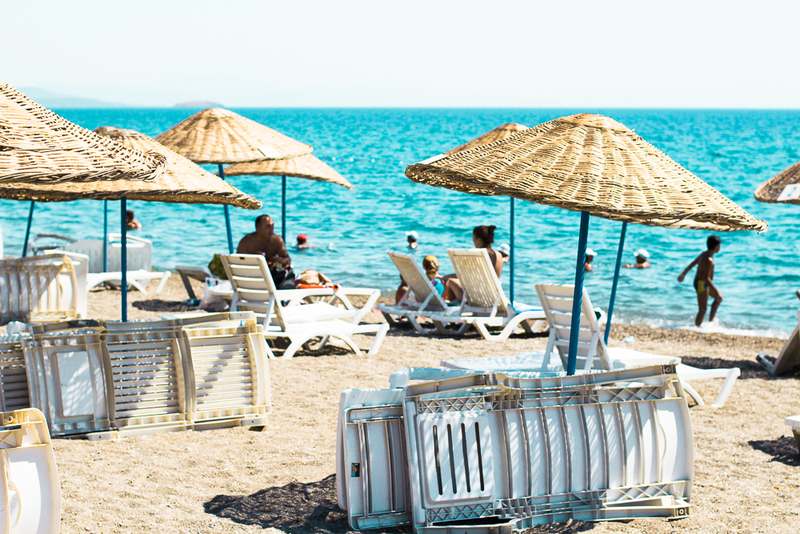 Read here for more articles about Turkish culture and holidays. Lastly, for an audio version of the wedding, listen in to Episode034: When you dance the night away! Did you have a typical Turkish wedding? What was something that was different at your wedding? What do you think about these traditions? Our 1 year mark is quickly approaching! We are somewhat surprised at how quickly it flew by. 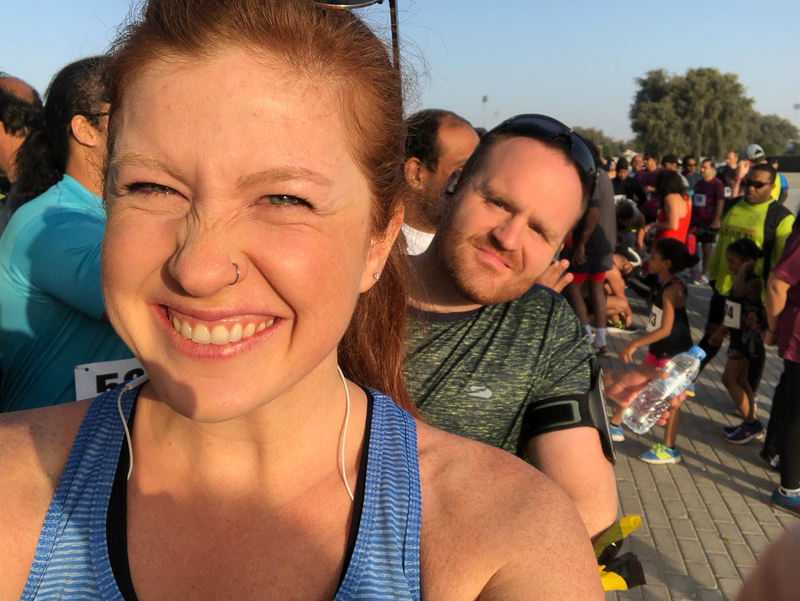 While my main goals are connecting with our neighbours and community and language learning, I have loved getting to know other expats as well. Part of our move over here was researching information about expat life via several expat website, one of them being ExpatArrivals. Websites like ExpatArrivals help others gain knowledge about the community, cost of living, and even neighbourhoods. Some of the best advice is from first hand experience. Being an expat in another country means you have a unique perspective. 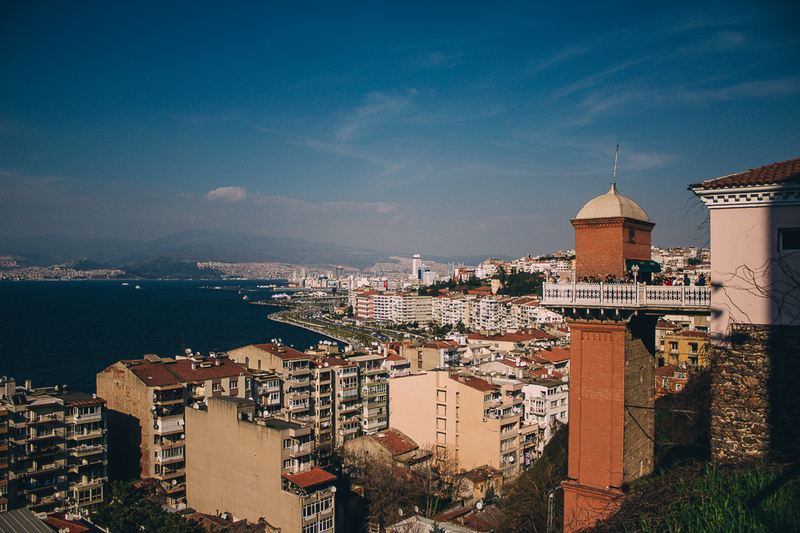 As we have transitioned to Izmir, I have enjoyed hearing other expat stories and how they moved from their native countries. Everyone has a story and no two are the same. 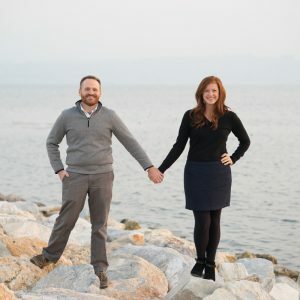 You, too, have asked us questions about our expat lives, and in our FunkTravels Podcast Episode032 and Episode033 we answered most of them! What question did you like? Did you learn anything new? People in America think weddings are a lot of work, and probably that their way is the best way to get married. Yes, yes, I will agree that there is a lot of planning for the American wedding, but it’s only one event! But here in Turkey the weddings have way more too them. I mean, I am writing a 3 part series about our first Turkish wedding! I wrote about how the Turkish wedding starts with the Kına Gecesi or Henna night. But now I will move on the the actual day of the wedding. The morning of the wedding day, we met the groom for a Turkish wedding tradition that I had not heard about before, the Gelin Alma or Fetching of the Bride. The morning of the wedding the groom goes to receive his bride from her family so that they can start preparing for the wedding. This is mostly for family and close friends. We were honored to be invited. For this particular ‘Gelin Alma,’ the groom’s family hired a drummer and, along with his band, he played music outside the groom’s house. After a while, we all packed up in the car and caravanned over to the bride’s house, honking horns and having our emergency lights on. Upon arriving, the dancing started up again to let her family know we have arrived (because the car horns didn’t do enough…). Eventually, the groom and his immediate family (mom, dad, and sister) went to get his bride. It tends to be a very emotional moment for the bride’s family, and it was, of course, true for this bride and her family as well. For many Turkish women, they do not move out of their family home until they are married. To make the moment lighter, the brother of the bride will joke with the groom about why he is here and pretend to not let him into the house! But eventually the groom gets his bride. The bride’s brother also places a red ribbon around his sister waist as a symbol of the ‘Maidenhood belt’ and bride. Everyone cheered as the groom exited the building with his bride (still crying!) and the dancing started up again (yes, on the street in the middle of a neighborhood). The bride’s tears were ones of sadness but also happiness! It made me tear up as well! I remember how excited I was to marry Jason, but also knowing it could be difficult too! After sufficient celebration, no more tears are seen and only happiness is left. Everyone is ready for the wedding celebration! The groom gathers his bride’s items for the day and their honeymoon and are now ready to prepare for the wedding. I LOVED this tradition. It was such a beautiful way to start off the day of celebration! It allows for a time of grieving, of leaving your childhood home and family, and a time to start the celebration and excitement of marrying your groom! In America, there is a tradition (not always followed now) that the bride and groom will not see each other until they are fully ‘wedding’ ready. Everyone thinks that first sight is the most important. But I loved when the groom goes to take his bride to prepare for their wedding together. Don’t forget to read Part 1 of the wedding series! For a sneak peek into the rest of the wedding, listen to Episode034: When you dance the night away! Did you have a ‘Gelin Alma’ at your wedding?